I speak a lot about beauty; on this blog, on Instagram, in real life. A few years ago I launched a portrait project aimed at changing the way we see ourselves – and our flaws – and helping us to re-examine our own definitions of beauty. I carry the principles of the Beauty Collective with me daily and often talk about them with women during – or after – photo shoots. And yet. AND YET. Here I am, the lifter-upper-of others, the champion for self worth and self love, struggling with who I think I am based on what I look like. Not daily, but often enough. I am a walking contradiction. While I’m relentlessly championing others and helping to propel women to a place of acceptance – a place where they can honor their imperfections and put away their insecurities – I am here, quietly putting way too much value on my exterior. My cover. My dust-jacket. I place a pretty significant portion of my self worth on what my scale and my mirror collectively tell me, and as such the shape or softness of my body often leaves me feeling less than. Inadequate. Not enough. A year ago I hired a fitness coach and embarked on a whirlwind, intense, life-changing fitness journey. My body changed. My mind changed. 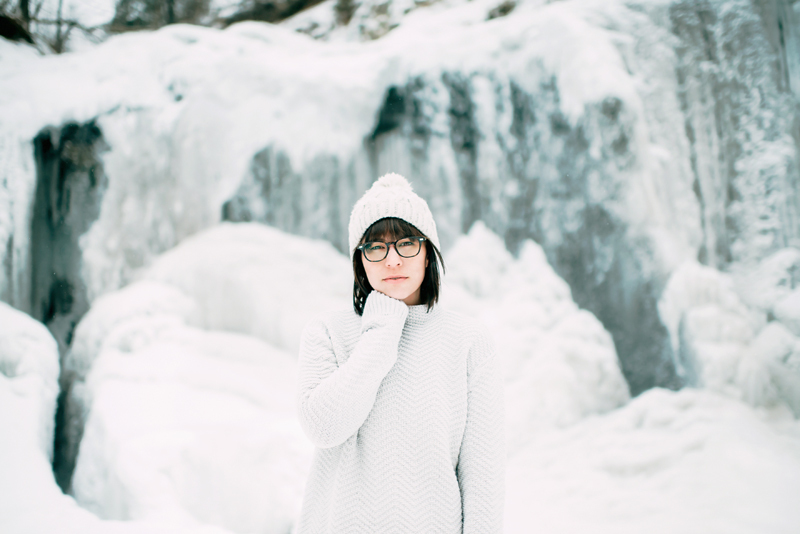 My self worth was on a roller-coaster of crazy and, despite my amazing coach, supportive friends and family, and my own best intentions, I lost control of what matters. Of what’s most important. Of the ability to see beyond my exterior – shiny or otherwise. I fell into a shame spiral and I’m finally – finally!– coming out the other side of it. In the process of doing so, I was presented with an incredible opportunity to collaborate with my dear friend Joanne and her friends over at BiffIt Gear to design a tank that reminds us all that we are beautiful. #RelentlesslyBeautiful is a call to action for women to rise up and challenge society’s definition(s) of beauty. Joanne, BiffIt Gear, and I believe that it is our responsibility to continuously challenge one another as individuals, to push each other towards a better life, and to share our journeys with one another. The purpose of #relentlesslybeautiful is to continue a movement we have all been fighting – even though some of us maybe didn’t know or recognize it. It’s to become stronger – together – so that we can uplift, elevate, and empower each other. It isn’t just for – or about – grown women, but also for the generations we lead. It’s for the little women in our lives. For those of you who know me, you know I’ve struggled – and still struggle – with depression, and it’s a story that is close to my girl, Joanne, too. 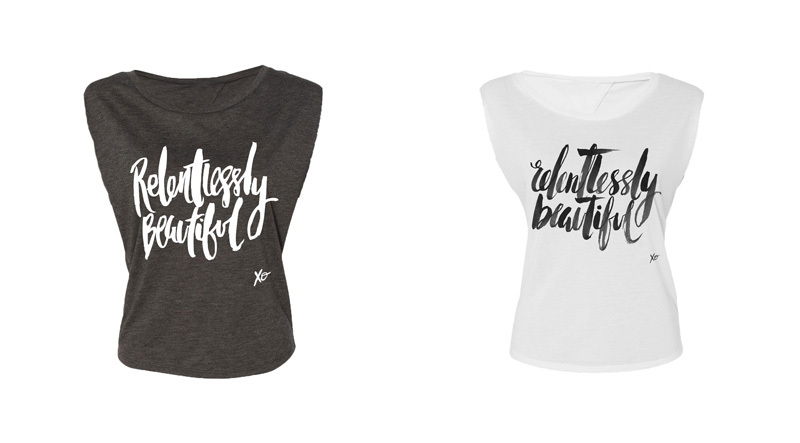 Which is why I’m extra excited to announce that all proceeds from the sale of these shirts will be donated to the incredible movement and organization that is To Write Love On Her Arms. TWLOHA is dedicated to presenting hope and finding help for people struggling with depression. I don’t know if I’ll ever get to the place where self love and acceptance are easy, natural, and real. Where it is so much a part of me that it’s visceral. But I do know that I’m on that path. I’m putting one foot in front of the other and I am learning how to see myself differently, and to treat myself with grace and kindness. I’m a work in progress, but it’s work worth doing. It’s true that through self-discovery we often uncover parts of ourselves we didn’t want to see – or believe – existed, and upon unearthing them we must face the challenges they bring. Some are more easily overcome than others, but there isn’t a mountain out there that isn’t worth climbing. The landscapes of our lives – and our bodies – are beautiful, and it’s up to us – it’s up to me, too – to embrace them. To tie our shoes and walk on. Forward. How I love you more and more each day. Blessed to have you in my life.